Wessels Library offers a great location to study, work with friends, conduct research or browse newspapers, magazines and recently published books. With decades of combined experience in assisting guests who need information and academic support, our friendly and knowledgeable staff is always ready to help students get better research results and locate the numerous resources the library provides.  With both collaborative and quiet study areas, the library serves the study and research needs of Newberry College students. Computers and print/copy/scan machines are available for student use. The library’s print collection of reference materials and circulating books encompasses 35,000 volumes. Additionally, Wessels Library provides online access to hundreds of thousands of electronic resources (including e-books and full-text journal and periodical articles), which are available 24/7 to the entire campus community. Participation in the Partnership Among South Carolina Academic Libraries (PASCAL) allows the library’s users access to more than a million books. Wessels Library and Center for Student Success arrange peer tutoring on a variety of subjects that is free to all students of Newberry College. Tutoring schedules and subject areas covered may vary by semester depending on the availability of tutors. The current tutoring schedule can be viewed on Wolf Den, on the Wessels Library website or in-person at the Library front desk.